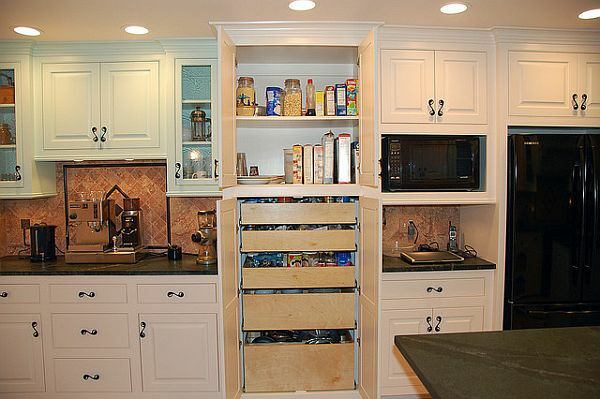 Storage of utensils and other stuff always create headaches in the kitchen area. 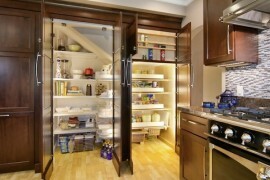 You have always wanted maximum storage possibilities in the available limited space of your kitchen, right? Don’t worry! 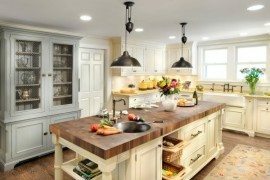 Here are some new ideas to make maximum use out of your kitchen space! You can keep a pull-out adjacent to the cook top that can store cooking staples close to hand. 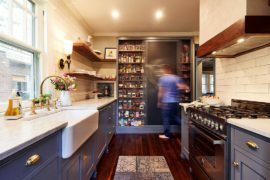 You can keep all your pantry stuff in the pullouts between ovens and the dish storage boasts wire shelves. 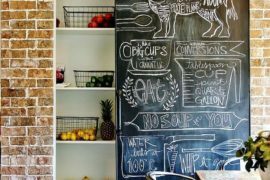 Adjacent to the back door of the kitchen, you can provide a recycling pullout that can be used to store newspapers and used plastic bottles. 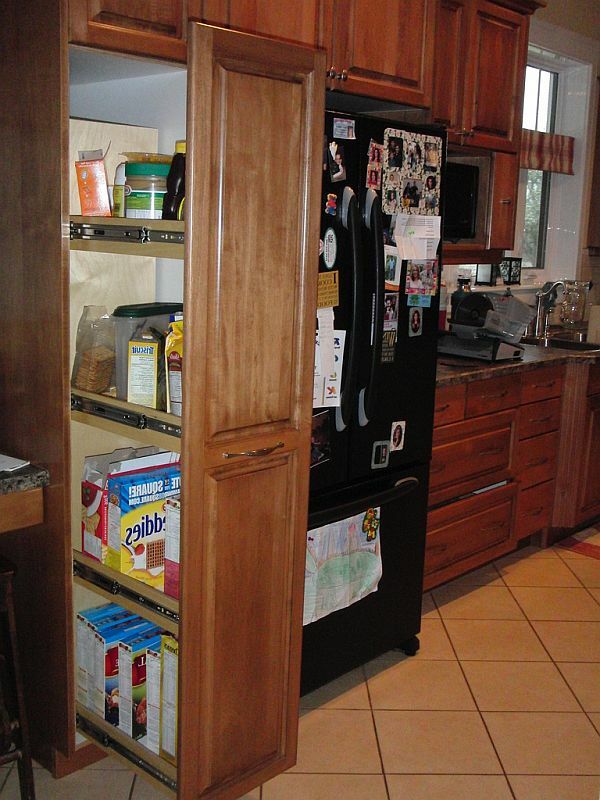 You can also make a pullout storage with a walk-up pantry unit. 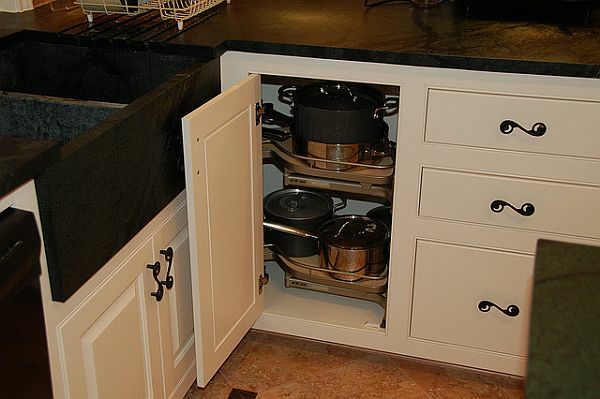 Try a deep drawer under the cooktop to help you keep large pots, while a three-tier pullout under the cooktop can be used to store small pots and jars. 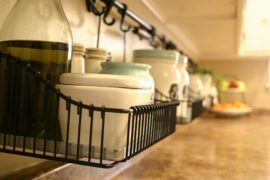 A hiding shelf can be made attached to an ordinary drawer which can be pressed and made apart from the drawer to keep spice jars. You can arrange pantry items in a wasted toe-kick space. 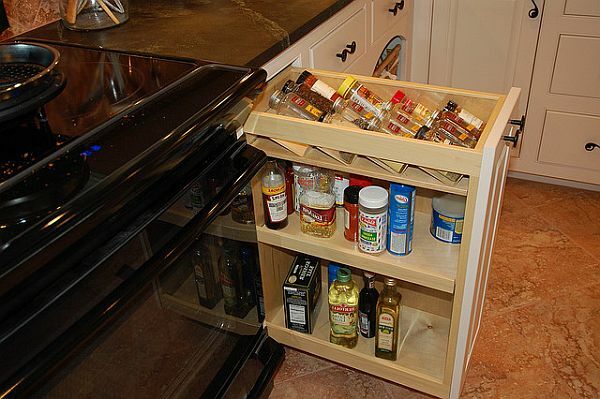 You can also divide drawers into several parts and can keep pots or pans. 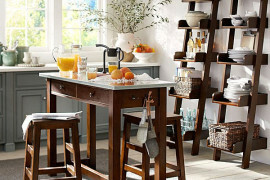 You can also opt for furniture-style storage. A bread drawer with a ventilated lid can make bread loaf fresh and safe. 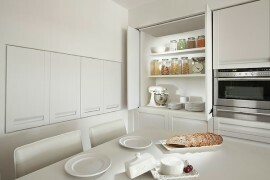 And if you think it suits your kitchens design, you can also make tall, narrow pullouts to keep platters. 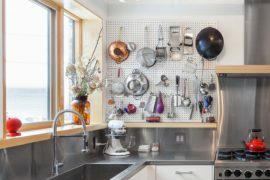 Apply your own logic to make different kind of pull-outs to store the things in your kitchen. 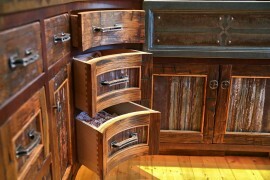 You can rely on aftermarket products and can modify the stock cabinetry.